The German police from Upper Bavaria confirmed that people killed lynx Alus. During the autopsy of the body, investigators found projectile particles within the animal. This is clear evidence that Alus was shot, most likely before his head and forelegs were removed. Hikers found the lynx in September in the Saalachsee area, close to the Austrian border. Lynx Alus was part of a conservation project to restore the Central European lynx population. Camera traps captured Alus in the months before somebody shot him. The research tried to identify in which areas the lynx was present since his release into the wild in 2015. The Gregor Louisoder Umweltstiftung was closely involved in the monitoring of lynx Alus. They published a monitoring report on lynx Alus, in the same month people found his body. Lynx Alus is not a unique case, when it comes to illegal killing of protected species in Germany (and Europe). Together with WWF Austria and Germany, they reward 15,000 euro to the tip that leads to conviction. According to the Gregor Luisoder Umweltstiftung, people have killed, poisoned or trapped at least 25 wolves, 7 lynxes and thousands birds of prey in the recent years in Germany. It is likely that the true number lies higher than these estimations. Back in 2015, police found four front legs in the Bavarian Forest. And in Austria, authorities found a male lynx in a freezer a few years ago. 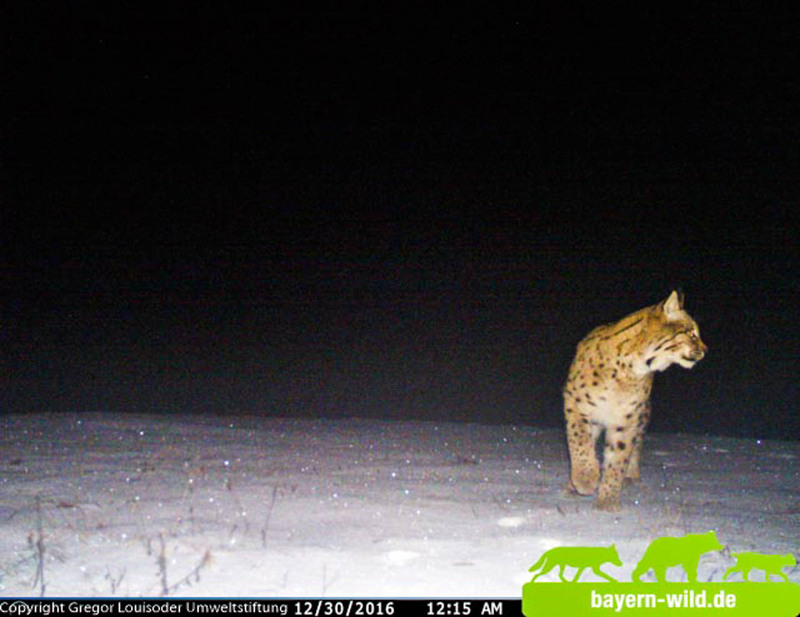 The lynx around Villach disappeared and is missing ever since. The number of convictions regarding these illegal activities is still low. Whoever kills a protected animal in Germany risks a sentence of multiple years in prison. After the information on lynx Alus, the Gregor Luisoder Umweltstiftung published another press-release on findings of illegal lynx trophies. They have unverified information on investigations from December 2016. At a house search in Lohberg, close to the Czech Republic, investigators discovered multiple lynx trophies, including ears and claws. Additionally, they found lynx traps and possibly illegal hunting equipment. German police never made these findings publicly available. It remains unclear why authorities and the media never informed the public on these findings.